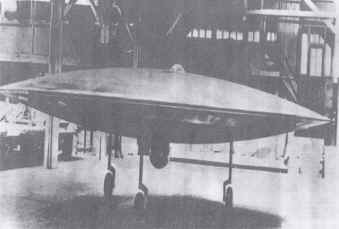 For example a plane in the form of discus developed in Avie Čakovice, according to some sources. Spare parts were produced in a secret factory in Luka pod Medníkem. The real interest today could be the system of drive of the plane, even sixty years after the War. According to some speculations Germans tried to use anti-gravitation for the drive and we have not been successful in using it until today. 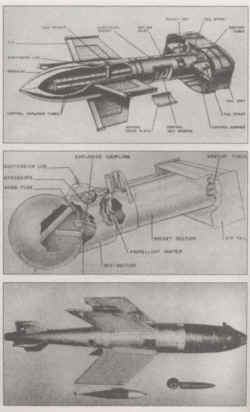 One of the theories mentions also experiments with anti-mass; Germans wanted to develop on its principle some type of “death rays”. In Prostějov the company Wichterle & Kovarik was working on the project of acoustic missile. Objects stolen all over Europe. 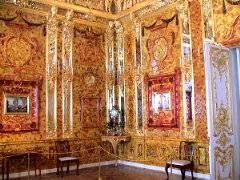 The heart of the Chamber was created for the occasion of enthronement of Prussian king Friedrich Wilhelm I in 1701 and until 1716 one of the salons in the Berlin Castle was decorated with amber. The Russian tzar visited Berlin in 1716 and as the Prussian king had wanted Russia to be his ally against Swedes, he offered the amber jewels to the tzar Peter I. 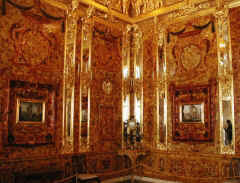 The jewels went to Tzar Sel (Puskinovo today and a former summer location for tzar family), they were completed with Venetian mirrors and Florentine mosaic of semi-precious stones and were installed in Catherine’s Palace since 1775. Germans transported the entire salon to the castle in Königsberg (Kaliningrad). Since March 1944 its destiny becomes unclear. The Castle was seriously damaged during an air strike in August 1944 but the Chamber most probably survived. Some theories propose that it be destroyed because of drunk Russian soldiers in 1945 burning the rest of the Castle. Later some remnants of Florentine mosaic were discovered. According to some other witnesses the majority of jewels was transported in 126 boxes to the East. In 1997 the German police found a mosaic 55 x 70cm in Bremen and some German and Russian experts confirm that it is a part of the Amber Chamber. And the investigation protocol says that a German soldier the last days of War from boxes stored in German Weimar stole the piece.